Once yearly bisphosphonate injections for osteoporosis – but at what cost? Just when you would think the osteonecrosis of the jaw risks with injectable bisphosphonates would cause a re-think about the appropriateness of plying these potent drugs for osteoporosis prevention, the drum roll has started for once yearly injections of Zometa. I was in Canada for the birth of our first grandchild in September when the news broke that results from a large trial of the once-yearly bisphosphonate Zometa (Reclast or Aclasta) indicate fracture benefit to postmenopausal women with osteoporosis. 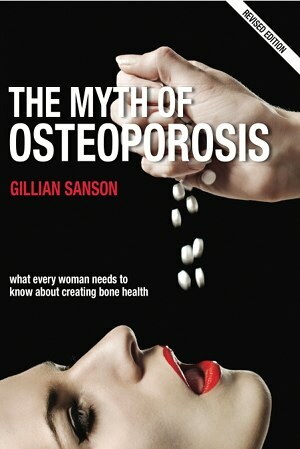 The media made much of the convenience of an annual injection and faithfully reproduced the press release that quoted Dr. Dennis Black the study committee chair from University of California, San Francisco as saying … “The efficacy and safety data show for the first time that women may have the option of a once-yearly treatment for osteoporosis.” The drug is still not approved for use, but when it is, the ground has been prepared. Nowhere was there any cautionary comment, no mention of the fact that this potent bisphosphonate, currently approved in higher doses for the treatment of bone cancer, is the one linked most to osteonecrosis of the jaw (ONJ). Neither was there mention of the fact that once in the body, the drug remains there for better or worse. If a patient experiences an adverse effect, there is nothing to be done, it cannot be removed, there is no antidote. Side-effects can range from ONJ to joint bone and muscle pain, flu-like symptoms and the potential for spontaneous fracture. There is currently no long term safety data. This trial lasted 3 years only. This injectable drug was developed because oral bisphosphonates like Fosamax can cause stomach and intestinal irritation. If it is true that the benefits of this drug outweigh the potential for harm in high risk patients then that will of course be good. The major concern is that a drug this potent may be marketed as a convenient osteoporosis prevention option to well women with low bone density alone.